We’re hosting our annual flower mini sessions for children and cannot wait to see you! More information coming soon so check back shortly. We’re hosting our annual summer family mini sessions and would love for you to join us! More information and sign up coming soon! We also offer a variety of “shop our closet” for you! If you want to try on or borrow an outfit for these milestone mini’s we’d love to share our selection of outfits. Timber (little girl shown below) is actually wearing one of our cute little girl dresses! For more info on outfits, shoot us a message and we can show you what we have in your sizes. January 13th - This is the only day we will be running these mini sessions. October 20th & 21st - This is the only days I will be running these mini sessions. 30 Minute Sessions - I will run the sessions in 30 minute increments to allow time to prep for the next family to arrive. Please arrive at the time we agreed upon to ensure we don't get behind! Email me at kelseynerud@gmail.com with your preferred time slot to book your spot! Only 12 spots available and these are a steal! My absolute favorite mini sessions of the year are approaching and I am so excited to start booking them! Corn fields are a big portion of what keeps me busy in the fall here in southeast Nebraska and I love sitting in my big blue tractor but what I love more than all of that is getting to shoot kiddos around the corn field. Wheather it be a red Case IH tractor or a green John Deere the debate has been around for ages, and as much as I favor my red/blue tractors, I'm not too picky when it comes to letting kids play with the toy ones. So, bring your favorite toy tractors, we'll have a few for them to sit on and let's get some fun images of them in the fall!! September 17th - This is the only day I will be running these mini sessions. 30 Minute Sessions - I will run the sessions in 30 minute increments to allow time to prep for the next kids to arrive. Please arrive at the time we agreed upon to ensure we don't get behind! Email me at kelseynerud@gmail.com with your preferred time slot to book your spot! Only 6 spots available and these are a steal! *Should weather cause issues I will notify everyone as soon as possible for the reschedule date. I will not be giving a full refund to those who cannot make the reschedule date work, but you will receive what you spent as a credit to use towards another session as long as it's used within six months of booking date. I know this video is kind of long but this is the EXACT video that I watched with tears streaming down my face that inspired me to get involved with the world around me. I met this lady in the video in real life in Kansas City a quite few years ago at a Women of Faith conference, she's truly inspiring and since this video, she has sponsored a few more kiddos as well!! I have always believed you have to be the change you want to see and when I do have the opportunity to travel I always like to volunteer and leave an impact. "You have not lived today until you have done something for someone who can never repay you." This year we're hosting the second annual summer mini sessions and donating all of the proceeds to sponsoring a child through World Vision. What does it mean to sponsor a child you ask? Let me explain! When you sponsor a child, your monthly gift helps provide essentials like clean water, nutrition, education, and more to a child in need, while you connect by exchanging letters and photos. All with the goal of helping the child and community break free from poverty for good. I will continue to host these mini sessions and make it an annual thing with intentions of donating everything to the World Vision organization. I intend to keep clients updated with communication (letters from kiddos, pictures, etc.) and eventually want to travel and meet my sponsored child if I have that opportunity! I have been wanting to do this for years but am just now getting the logistical side figured out on how to make this all work. Seriously, I am beyond excited to launch this, giving back to those less fortunate is something I'm extremely passionate about. So here's the info for these Mini Sessions! Location - These again will be hosted at the farm, I will have a few rustic boxes/buckets there for littles to help sit them up or stand with. Price - Minimum donation of $200 (you're welcome to donate more if you'd like!) This is a HUGE discount, to put it into perspective, $200 is the session fee for a normal family session that does not include any digital files or prints with it, so basically, you're getting five digitals for free! June 3rd - These are the only days I will be running these mini sessions. And of course if you're not interested in a mini session but would like to donate to World Vision you're welcome to contact me directly and we can get it set-up or check out their site to learn about sponsoring a child of your own! If you choose to sponsor let me know, I'd love to follow along and learn about your child and your sponsoring journey! Here are a few images from when we were in St. Lucia last year, we packed an extra suitcase full of goodies for an orphanage I had contacted prior to leaving the states and getting to know what their needs were. Packing a fifty pound suitcase of toys, shoes, undies, diapers, lotions (specific request from the orphanage) as well as coloring books, pencils and other schools supplies was so humbling, but what made me so excited was walking through the airport knowing that all of these items were for kiddos that were in need of basic necessities that we take for granted daily. When we got there and spent time with the kiddos my heart was so full of love for them. Right away we walked up and a little girl introduced herself and gave me a hug asking if I would hold her. Another little girl right away chimed in asking if she could do my hair. The boys were busy with a new ball we had brought while the baby crawled around sipping on her bottle and handing me building blocks. As we sat there and played for awhile, I realized that these kids were happy, they didn't realize what poverty felt like because to them, they had everything they could want or need. They didn't realize that a house without a properly closing front door wasn't normal, they've always slept with mosquito nets over their beds, and they think that rice everyday is good because it's food that fills them up. While spending time with these orphans I felt really humbled that they opened their arms so willingly to strangers, they loved new friends to play with and the little girl who asked me to hold her eventually fell asleep in my lap while I held her close, silently saying prayers to the Lord for each and every one of them by name. Being blessed with more than enough in my life is something I am so grateful for and I try my best to give to those who aren't as fortunate. Through the years I've realized that life is less about the amount of "things" we have and more about the experiences we get to enjoy. These are a limited time but that's no excuse not to get in on the fun of these gorgeous purple flowers that fill Nebraska! Check out the fun! I love flowers so much and I'd love to play in them every day if I could. Shooting with flowers is always a blast as well! Since these flowers are around only for a limited time, that means these mini's are only around for a limited time. 30 Minute Sessions - I will run the sessions in 30 minute increments. Please arrive at the time we agreed upon. We all take the time to schedule family pictures to capture and document our lives but very rarely do we actually get pictures done with our friends. It's time to change that! Grab your favorite beers (or kool-aid) and bring your besties. We can crank the tunes and let's get to laughing. Introducing the Besties & Beer Mini Sessions!! These will be run a little differently compared to our normal mini sessions. We won't set a specific date but instead run them through May and June ONLY! Also, we will ONLY HAVE WEEK NIGHT BOOKING DATES available (our weekends are already booked up). If you'd like to get a jump start to plan your date, check out our Calendar Link for what's available! Dates - These will be held on WEEK NIGHTS in May through June. You pick what works best for your schedule. 45 Minute Sessions - I will run the sessions in 45 minute increments to allow time to prep for the next crew to arrive. Please arrive at the time we agreed upon to ensure we don't get behind! Email me at kelseynerud@gmail.com with your preferred date to book your spot! Choose to pay just the deposit now or pay the full amount. Once you've paid your deposit I will send over a contract and remainder balance for your invoice. Please let us know what dates work so we can schedule you as well! October 21st - This is the only days I will be running these mini sessions. Location - These won't be themed and will be held outside at the farm. I will have a few rustic boxes/buckets there for littles to help sit them up or stand with. Email me at kelseynerud@gmail.com with your preferred time slot to book your spot! Only 8 spots available and these are a steal! Are you ready for something new and fun?! MILESTONE MINI SESSIONS!!!!! Alright I wasn't going to host mini's. I normally don't host mini's. But I changed my mind and impulsively decided to book them! 45 Minute Sessions - I will run the sessions in 45 minute increments to allow time to prep for the next kiddo to arrive. Please arrive at the time we agreed upon to ensure we don't get behind! 5 Digital Download Images - Your session fee includes FIVE digital files for you to download off your gallery from the website once the session is complete. I will also include additional files you're welcome to upgrade and purchase if you'd like. These are totally optional but they're there if you'd like them! Let me know if you're ready to book! I'd love to meet your little sweetheart and snap some quick shots! I cannot believe it's time to think of Christmas but I want to give you plenty of time to print and share your kiddos' pictures with friends and family so it's time to get it scheduled! I'm running the mini's exactly like last year so it should be pretty familiar with those who participated last year. I will have some props on hand for the smaller kiddos who aren't quite sitting as well as lots of things for them to play with. 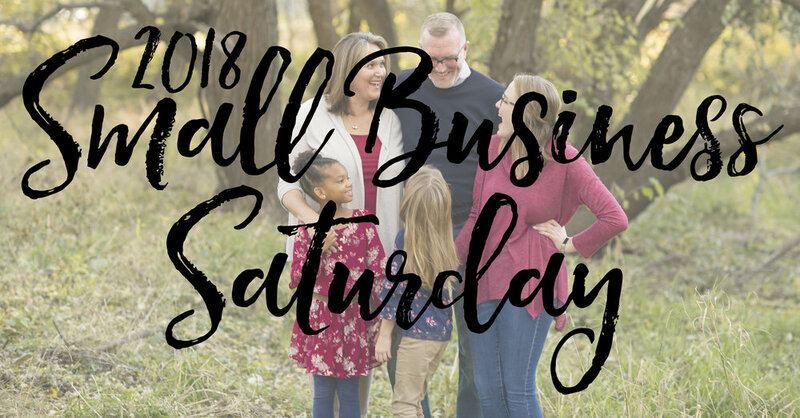 November 20th - This is the only day I will be running the mini session special pricing. 45 Minute Sessions - I will run the sessions in 45 minute increments to allow time to prep for the next kiddos to arrive. There are two options of set-ups so make sure to bring your favorite holiday outfits as well as some jammies to get snuggly in while snacking on some cookies.